Caribbean is an ethnic group largely situated in the Caribbean plate. We don’t usually consider the Caribbean as a place for wine – but yes, there are Wines from the Caribbean! Surprised? Of course, the geographical area that surrounds the Caribbean Sea, between the Americas is well-known for its rum and beer. But, when it comes to wine, there is not much call for this. Yes, it’s true that hot, humid climates do not generally support the growth of wine grapes. Also, it’s not easy to develop a tradition of wine drinking without any local winemaking. Despite all these wines are emerging in the Caribbean now. No, I am not kidding. Fruit Wines or Grape Wines in the Caribbean? When we say wines in the Caribbean, most people are likely to think that we are talking about the fruit wines. Yes, the wines from mangoes or ginger wines are all quite common in the Jamaican region. But here, I mean to say the wines from actual grapes that are being made in the Caribbean. Wondering how? Well, we need to agree the fact that the region’s rainy climate has often posed a huge challenge for the winemakers here, although only a few tried this. But, this has been pulled-off by the project that was launched in the Dominican Republic a few years ago. What’s the Result of the Project? The project was called Ocoa Bay and it was created as a wider luxury development project towards the southern central coast of the Dominican Republic. And yes, the result of the project is that they have done it! The winemakers of the region could produce real, drinkable, and above all, good wines by getting the help from the wine consultants of South America. The wine grapes require dryness, sunlight exposure, as well as sufficient cooling for its growth. More importantly, all these factors should be received in right proportions. Do you think that the Caribbean region doesn’t have these? Well, the microclimates that are being experienced between the mountains and the sea in Azua are found to be suitable for the grapevine cultivation. These areas are extremely-dry with just 600cc of rain every year. The history of winemaking in the Caribbean is said to be dating back to over five centuries ago. More surprisingly, the unassuming land of Ocoa Bay became the first wine producing land in the Americas. As the history suggests, the Spanish explorers were believed to have cultivated grapes here for around six years before sailing to the Central America. But, after they left, not much interest was shown by the Conquistadors on the viticulture. The local farmers were known to return to the growth of tropical fruits and vegetables that are popular to the island. The vineyards and real estate development in the Caribbean are aiming to bring back the historical winemaking to the region. Thus, it took the enotourism on hands a few years back and started offering newly built homes with vineyard plots that are specially designed. 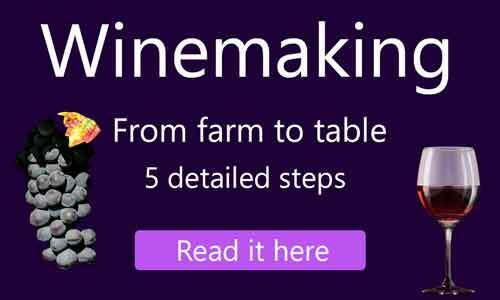 This program was launched with a view of enabling the residents to make their own wines. It’s also to be mentioned here that the winemakers in the Caribbean are using the right grapes. For instance, Colombard, the white French wine grape is found to be showing up well in the region as it has got enough time to mature on the longer sunny days.